California after being gone all week for work. It's the little things, isn't it? 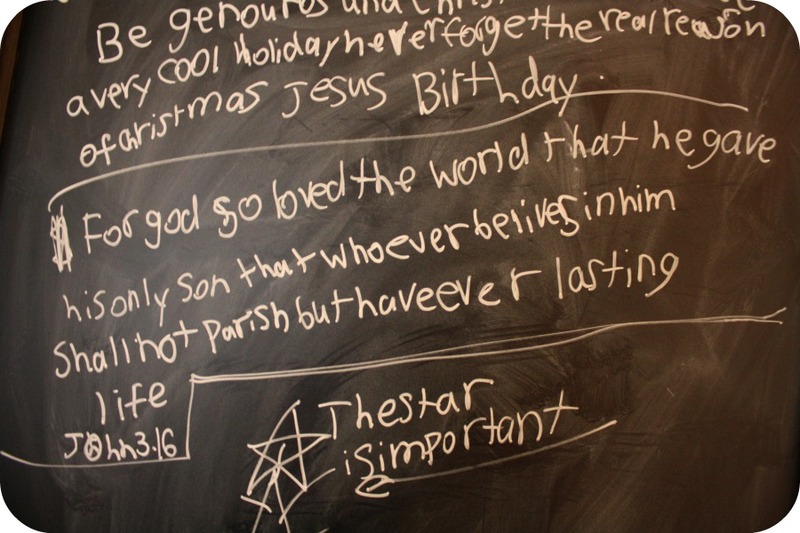 I wanted to share these beautiful words I found on our chalk board the other day. It touched my heart and I had to take a picture to share . Our church teaches our children a specific virtue every month and this months is generosity. It reads up top "Be generous and Christmas will be a very cool holiday never forget the "real reason" of Christmas Jesus birthday." A little further down she wrote John 3:16, one of my favorite verses. That is awesome! :) Love that it says, The star is important at the bottom. Have a great day friend! I just awarded your blog with the coveted Liebster award. This is an award for new up and coming blogs. Stop by my blog for the details.